Contains 55 seconds of test tone at beginning of recording. Announcer and cast break character while the announcer reads the credits at the end of the recording. 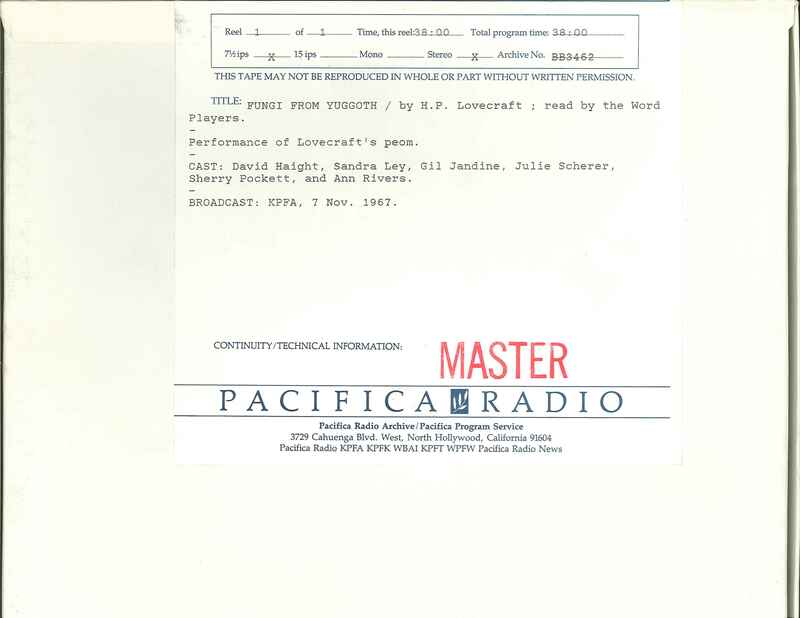 This recording was formerly cataloged as BB3462.